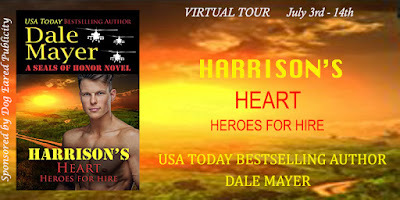 Welcome to Harrison’s Heart, book 7 in Heroes for Hire, reconnecting readers with the unforgettable men from SEALs of Honor in a new series of action-packed, page turning romantic suspense that fans have come to expect from USA TODAY Bestselling author Dale Mayer. When a call for help comes from Ice’s father, Harrison steps up. A senator has been shot, his wife beaten and his kids are in the wind. It’s up to Harrison to find the answers everyone is looking for. Including finding the senator’s ex-military and pissed at the world daughter. Only she doesn’t want anything to do with him. Zoe is on a mission. There’s no room in her world for heroes – especially not Harrison. But he won’t take no for an answer. 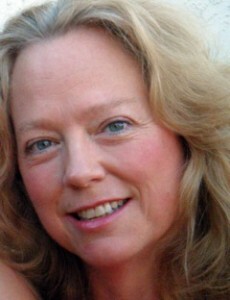 Only Zoe has angered the wrong people, and they won’t stop until they put an end to her meddling or better yet – to her. With so much going on, Harrison struggles to pull the pieces together – before their world is completely blown apart – permanently.